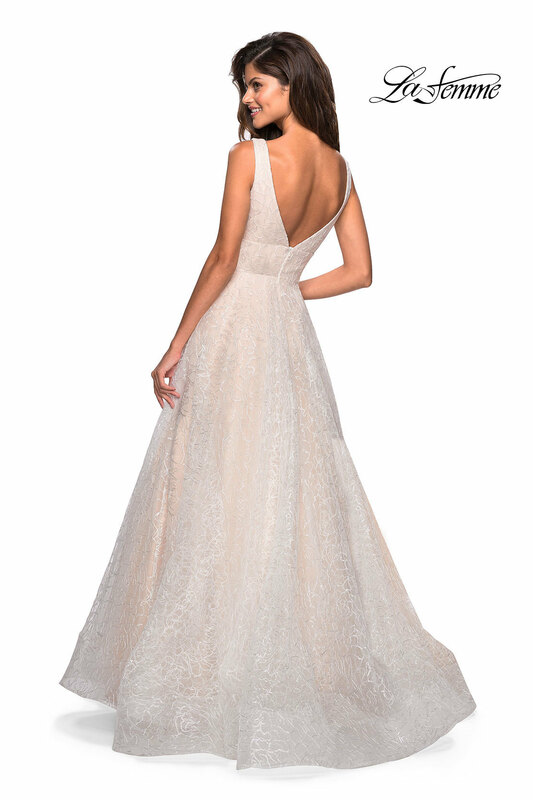 La Femme 27323 looks like it comes straight from a fairytale! 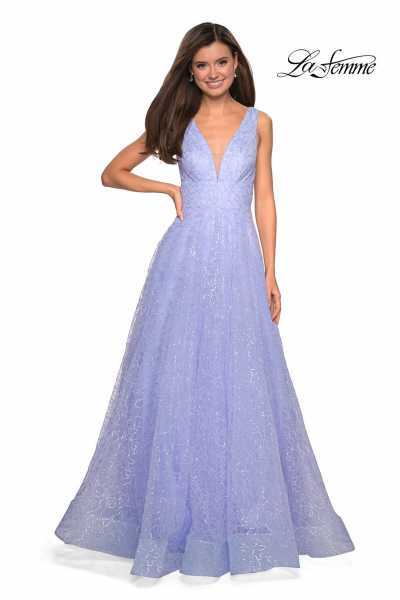 This stunning gown pairs a deep v neckline with a shimmering lace overlay to catch the eye of everyone at your event. 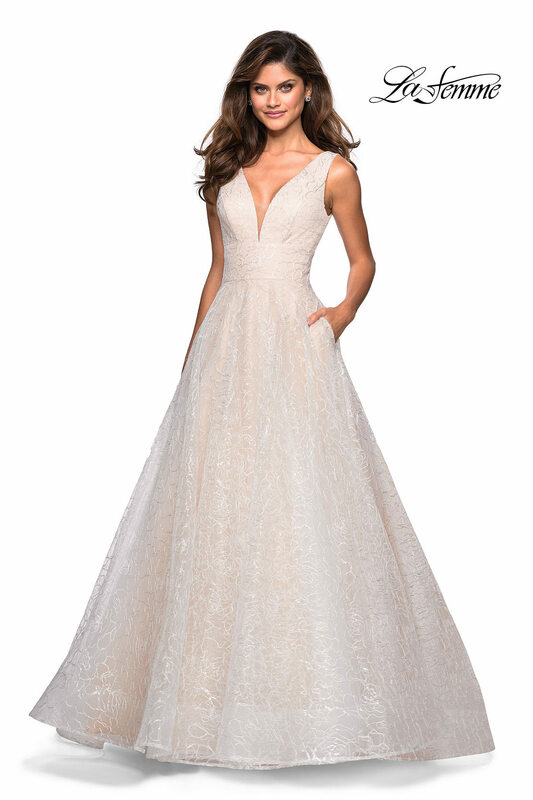 It features a wide band to accent the waist where it extends to a full skirt, and a zippered back that mimicks the v neckline of the front. This dress comes with pockets and is available in two gorgeous colors.